Have I ever shown you our coal barn? Why do we call it the coal barn? Well, see that little door on the right? It full of coal, wood scraps and an old door. 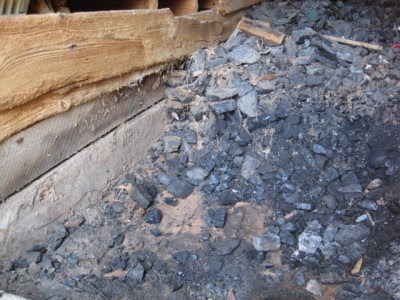 Obviously coal was the fuel source for our house at one time. Which explains why the fireplace grates were so narrow and tiny; they were intended to be coal burning fireplaces not wood. Well, as you can imagine it's not a project either one of us wants to tackle at the moment. Still, the building came up the other day when Dan and I were talking over morning coffee. We discussed finishing up the dining room and the things we need to do to get ready for the chickens. We also discussed that, considering all the projects we've had going on, Dan's tools have been spread out in the house, on the front porch, in the car port, and in the three outbuildings. Currently everything has been moved to work on the chicken house. We decided that before we can tackle anything on our 2010 homestead goals list, he needs to get his tools organized. The problem is that he doesn't really have a place to keep them. I know Dan would absolutely love to have a proper workshop. That's an option. The question is though, do we want to put all our time and money into that, or is there another way we can "make do" for the time being. 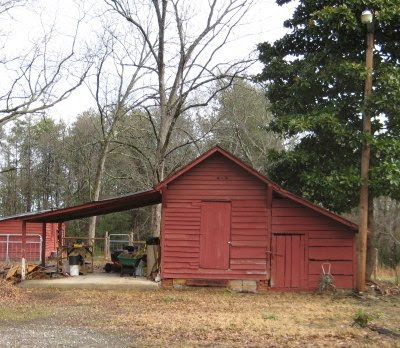 Granted, a barn with a workshop is in the Master Plan, but as with all things, there's the matter of priorities. 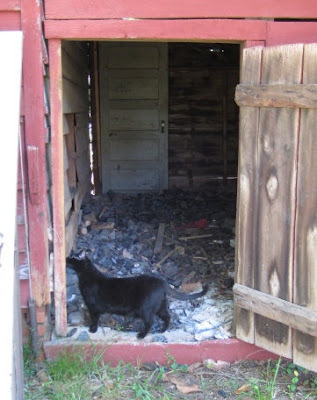 That brought us to the coal barn and the middle door you see in the above photo. I think you little coal shed is perfect for tools! What if you had a few people over for a coal moving party? It could go pretty fast and winter is a good time to get it done. I wish we could come help you!! 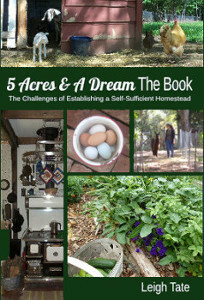 Do you have ideas for a chicken shed? We need to build a new one. You could advertise it as "free you haul". There might be a blacksmith in the area who'd welcome such a deal. Any plans to learn blacksmithing? You could make use of 19" of coal, although it wouldn't last you all that long. Blacksmithing is way down on my to-learn list, but I want to go the charcoal route. Coal smoke includes sulfer, which combines with sweat to form sulfuric acid. Not pleasant. Seems like a good space for a toolshop to me. Is it sufficiently secure? I converted our back bedroom to a toolshop for now, but when the re-roof bombed our house with dirt and mouse poop dust, that's the one room that didn't receive the hazmat treatment. Now I clean each tool as I take it out of there. May your tool collection be more fortunate. What a cute little red shed, I just love it! 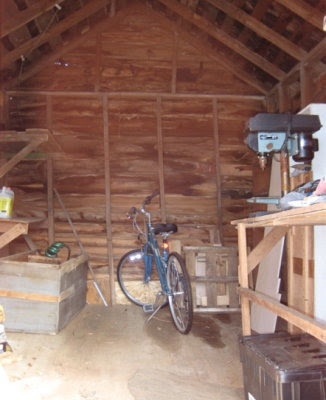 I think it will make such a good tool shed and work place. Good luck with the coal maybe there is someone somewhere that still uses coal!!! sounds like a perfect way to make do of what you have. No ideas on what to do with your coal though...I think the others are on to something in offering it free for the hauling though. Flower, I'm not sure Dan has decided what to do with all that coal. At this point we can't use it but he's not sure we should get rid of it. 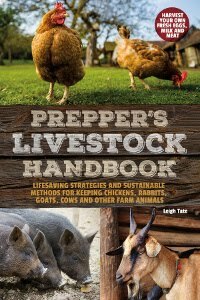 Check your local library for books on chickens for shed ideas! I found one that had dozens of chicken house designs. From simple to complex. From plain to fancy. From stationary to mobile. Karen, I hadn't thought about blacksmithing! Lee, well, I don't but Dan might. I think he'd go the charcoal route too however. Bettina, I didn't realize Ireland still used coal for heating. Interesting! Too bad I can't ship it to you! Julie, thanks! That outbuilding has stood there long enough without having some purpose besides storage. Though storage space is useful too. I've never heard of that problem before. I was going to joke and say, put a 20" raised floor on it, but who wants to build over 19" of fuel?! You do have a dilemma. Am glad Rascal is so happy. Janet, where there's a dilemma, there's a solution! And yes, Rascal loves it and is doing great. Could you use it in the garden, as char? I have no idea. If you can't find use for it, you could put it on Craigslist or Freecycle. I am jealous of your extra buildings! The moment you put in a new *doghouse* out here, you have to get a permit ($50 a pop!) and if there is something load bearing, also building rules and inspections, etc. I also just heard the guy who delivers raw milk has been asked to cease an desist! i wish the government would let us take responsibility for our milk, chickens and sheds! I wish I had your problems! On the three acres I got three years ago there are no out buildings! So for now my work shop is set up in my living room! If I had a wife I know she would not put up with that. but for now , that's what I have. Lots to do and so little time (money?). Tom I confess, I'd put my foot down too, LOL. Still, we've had to make do with a lot of temporary workshops in the house with all our remodeling.